I have been working on this post since, probably, a year ago. That itself is an odd thing 😉 It is all about restroom/toilet… the last place I thought I would find anything odd. I like the sign on the door of this toilet room – it describes the room, not the person who should use the room. 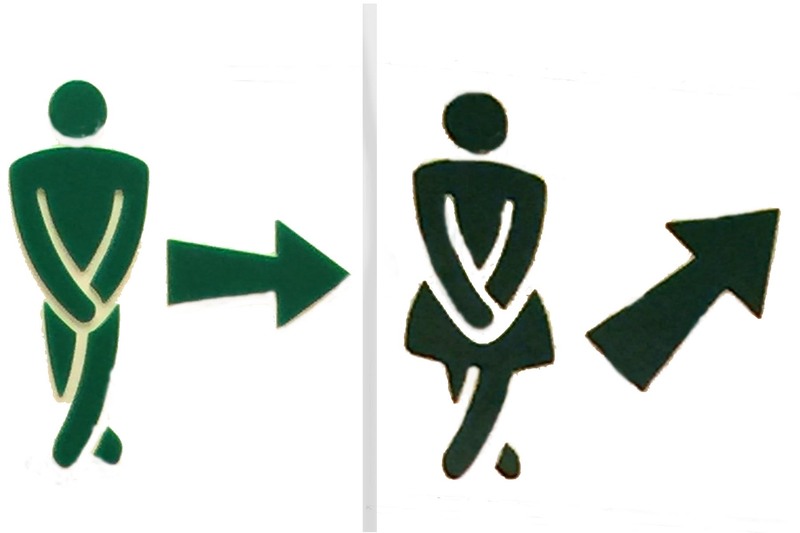 These restroom signs in a gift shop in Pompei made us giggle. It reminds me of little boys or girls who were having fun playing and didn’t want to go. 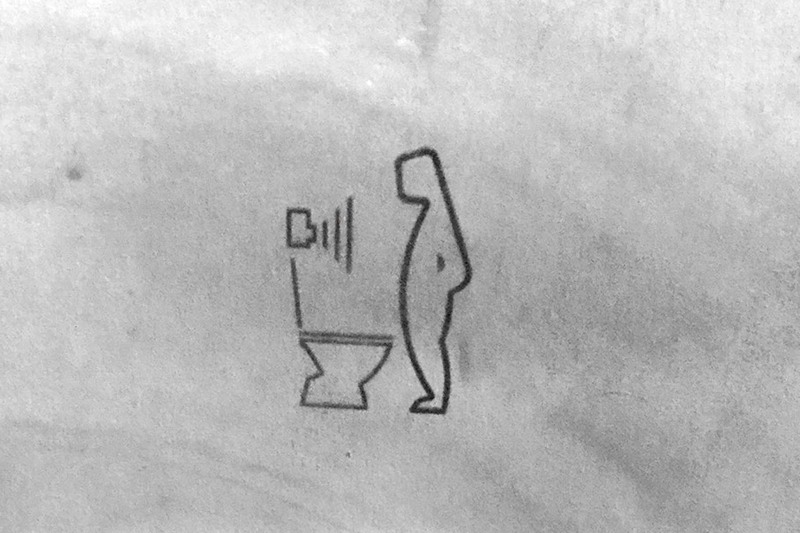 Later I found out from our tour guide that it simply means “this toilet will flush by itself”. I guess a lot of people (including me, to be honest) would look for a button to push, so they put a sign there. I told our tour guide what people were thinking about the sign, she laughed so loud that I hurriedly walked away. There must be a lot of little kids in Taiwan. Twice, I found two toilets inside of a toilet room: one big for an adult and one small for a kid. A new trend? Hope you enjoy these odd photos. Thanks for visiting my blog. Oh my gosh, Helen! These are so funny–well worth a years wait! Thanks, Lois. I am glad you like it. It is a little out of my comfort zone, to be honest. But at the same time, I find it quite interesting. Thank you for the encouragement! Have a wonderful day! Hilarious! 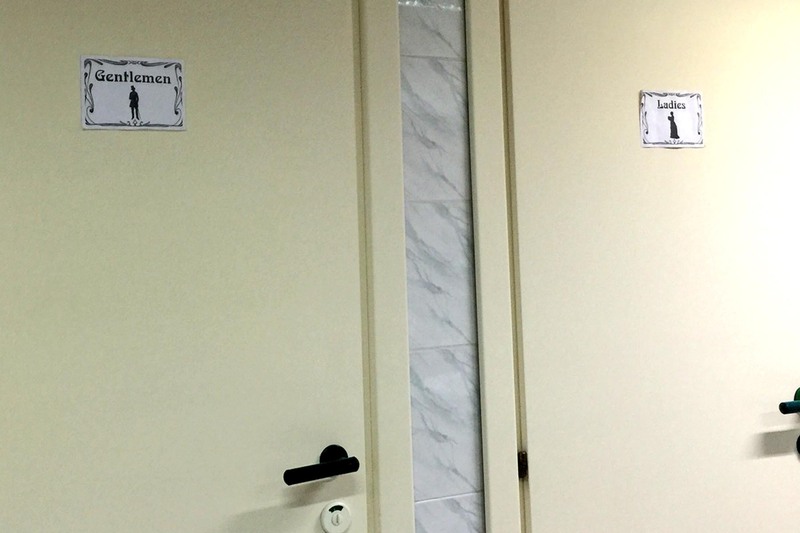 That “Gentlemen” sign may be for transgender people. Thank you, Cee. Life usually seems a little bored after a nice trip. This sure cheers me up and lifts my spirit in the right place. Ha. I have said it before… I really appreciate how you take time to keep these challenges going. You have changed the way I look at things. Now I am looking for odd things all the time and have a lot of fun. woo hoo, Helen! Congratulations to you! Thanks, Lois! It’s a wonderful way to start my day for sure 😉 Slept 12 hours last night. I think jet-lag should be gone by now, right? Really fun – and oddball!! 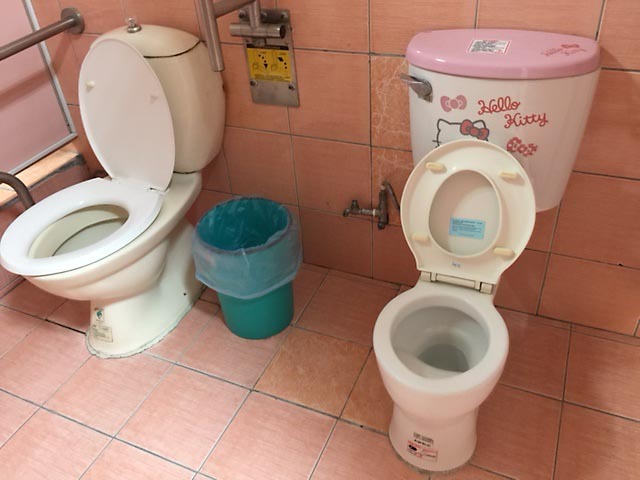 Great captures – and just a side note on the kids toilet idea – it seems like I recall a few years ago when they were everywhere – especially at rest areas on road trips – but lately we have not seen very many child size seats – and never any with hello kitty ! 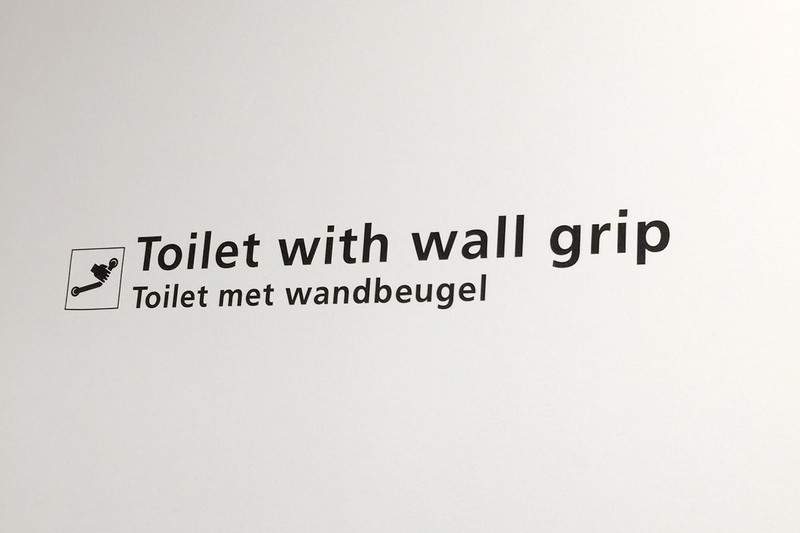 Seems like you spend a lot of time in toilets. 🙂 Fun post. Hahaha…such interesting photos. I completely enjoyed them. And what a variety of shots you have in your kitty – you have for the category of restroom as well. How fascinating..!!! Do those photos make this post potty humor? 😉. Cute choices.